I was approaching my 50th birthday and just felt enough was enough, after 20 years of trying every diet out there l decided to deal with the problem once and for all. I made an appointment for a consultation, went along and was given all the information that I needed. I was advised to take my time to think it all through and not rush into anything. I already knew this was the only option for me. I had been feeling very low and very unhealthy for a long time, everything was an effort, my knees ached all the time and I was breathless just going upstairs. After a second consultation with Mr. Hamouda I was confident and happy to proceed with the operation. My operation went ahead in Nov 2012, everything went well and I spent two nights in hospital being looked after by a great team of people. It’s 5 months now since the procedure and so far I have lost 6 stone but more importantly to me is my BMI has reduced from 44 to 29.2, which I am thrilled about. It’s still early days and some days I can eat more than others and I still have to remember to eat slowly and chew well. 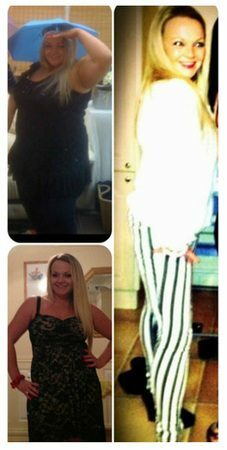 My family and friends can not believe the speed of the weight loss, I just wish I had decided to do it years ago, I am so much happier and feel amazing. I am enjoying my life again. Hi my name is Kim, I’m 52 years old and am very happily married with a grown up daughter. I have struggled most of my adult life with my weight. Before I left school and got married I was far more active and food did not play any factor other than for fuel. When did it all change? I began work at sixteen in my first job as a Statistical Clerk and have throughout my career always worked in an office environment- Sitting at a computer all day doing very little if any exercise!! I married at eighteen and when I embarked on running my own home and cooking for my husband and myself the problems with weight gain surfaced. Along with lack of exercise food began to be a social and pleasurable activity rather than for fuel. I gained a great deal of weight in my first year of marriage and with a large important family wedding looming embarked on my first diet! I ate very little and lost the weight quickly but was very irritable and tired and once the event had taken place I slipped back into eating for pleasure and reward and the lifelong yo-yo dieting began. I tried slimming tablets, liquid diets none brought sustained weight loss. At the beginning of this year my husband began a new business and we took this opportunity to move nearer to our daughter. As anyone who has lived all their life in one place this presented an exciting but incredibly emotional and stressful time. At this point food was not the only factor playing a major role in my life- I discovered red wine!!! At my lowest point I was drinking two bottles a day added to very large doses of ibuprofen for headaches/hangovers. At this point my lovely daughter and husband were expressing deep concerns about my health and well being. 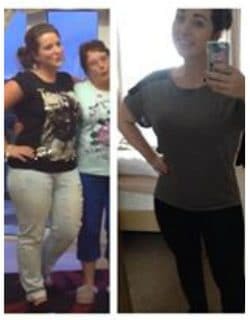 It was at this point that we approached Mr. Hamouda at Weight Loss Surgery Kent after reading their extensive and informative weight loss options. I made an appointment to discuss the way forward. My husband and myself attended the consultation at the Nuffield Hospital based in Tunbridge Wells at the beginning of June, 2013. Now where do I begin, this consultation has saved and changed my life. After a full and frank discussion, Mr. Hamouda advised that I have a sleeve gastrectomy. Mr. Hamouda performed my sleeve gastrectomy on the 26th June, 2013 with an amazing nursing team at the Nuffield Hospital, Tunbridge Wells. This hospital is more like a hotel, beautifully decorated, lovely furniture creating a lovely calm environment. The reception and administration team are friendly and supportive. I have felt from the consultation, pre-op assessment, operation and hospital stay incredibly comfortable and supported. This is a major operation and after a two day stay was discharged with clear and precise diet guideline and contact details for advice and support. I have gone from strength to strength and have suffered no side effects or problems. I know this is completely all thanks to Mr. Hamouda and his amazing team. I would like to add that Jen Lowe, Dietician and part of Mr. Hamouda’s team has been an immense support to diet and food options with my gastric sleeve. I believe that this operation is an amazing tool but eating the right foods are key to continued and sustained weight loss. LOSS 49 lb !!!!! My goal is 147 lb, will be there by Christmas!!! I cannot put into words easily how amazing I feel and look (according to my loved ones!) its taking a little bit of time for my head to catch up with my body’s weight loss! My life no longer revolves around food or alcohol. I do not take any pain medication and my energy levels are soaring. I even attend the gym!!! Miracles do happen, it has to me!! The best thing I ever did!! It has made me a lot happier in every way , it’s nice to go into a clothes shop and buy what you like rather than what fits! Also I am able to do more things with my children because as you know children’s play areas and activities tend to be very small! This was my main reason to choosing weight loss surgery to be fitter and healthier for my children. I’ve never been operated and or even broken a bone for that matter prior to this surgery but had no problems and felt my normal self 3-4 weeks after. Also I have found a lot of people have commented “how well I look”, I didn’t realise I felt so unfit until I started to lose weight and felt better with each stone that just dropped off. I also feel that when people consider this surgery they need to know it isn’t just a quick fix miracle but a very useful tool for life. It has been 7 months since my surgery. I had an initial consult with the WLSKent Team which was open, informative and thought provoking. Following the consult I was able to make an informed decision to progress with a Sleeve Gastrectomy. I can’t believe how quickly the time has gone. I have not suffered any complications and my hospital stay was brief and without incident – I have never had surgery before and was well looked after during my stay in the Somerfield. Since then I have lost 85 pounds, 8 inches off my waist, more than 2 inches off of my collar and almost all of my wardrobe! From a medication perspective I no longer take daily pills for Blood Pressure, Sertraline or Omeprazole for other conditions. There is no particular aftercare associated with the sleeve, other than a periodic ‘how are you doing’ meeting and weigh-in with the Surgeon. My BP is normally around the 120/78 mark. Food wise I can now eat pretty much whatever I want – in the appropriate portions. I don’t generally feel hunger, although the smell of some foods (bacon & chinese food in particular) can cause what I consider to be a nostalgic pavlovian response! I tend to eat by the clock & if I eat out with the family they are now used to me having a starter whilst they eat their main – this works for me and restaurants don’t seem phased by this. Takeaways however have become a thing of the past. Exercise is much easier now – and whilst I still find the gym very,very boring I have revisited sports from years ago and have found enjoyment in them, not to mention better performance! There are a few drawbacks/things I miss – these include eating and drinking at the same time, sandwiches/baguettes – as bread is a no-go, some social awkwardness from friends as I have given up alcohol and I have perhaps developed an over-interest in frequently weighing myself – I am confident that time will address all of these issues. In summation, I would make the same choice again tomorrow. Weight loss surgery isn’t a short cut as you have to live with it every day, neither is it just for the ladies. 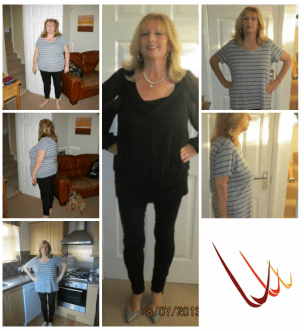 I acknowledge that I have had a very good experience and I am very grateful to the Weight Loss Surgery Kent Team for that – I should have done it years earlier. In all honesty I did not want to be “Fat and Fifty”. Having tried various weight loss programs since having my last child 16 years ago, I knew that I had to do something different; they simply had not worked for me. At least I had learned from these various programs what I should be eating, but realised that I was just eating too much of it! I stared bleakly into my lunchtime “trough” of salad and thought “I’m sure things would be different if I did not have to eat so much?”. I had also realised that I was caught in a vicious emotional cycle of eating which I needed to break; this resulting in me feeling frustrated and angry when I got hungry a few hours after a meal. Eating something quick that I could grab off the shelf (usually high in carbs and made by Mr Walker or Mr Cadbury) made me temporarily feel better. However, being a diabetic I was walking a bit of a tightrope. 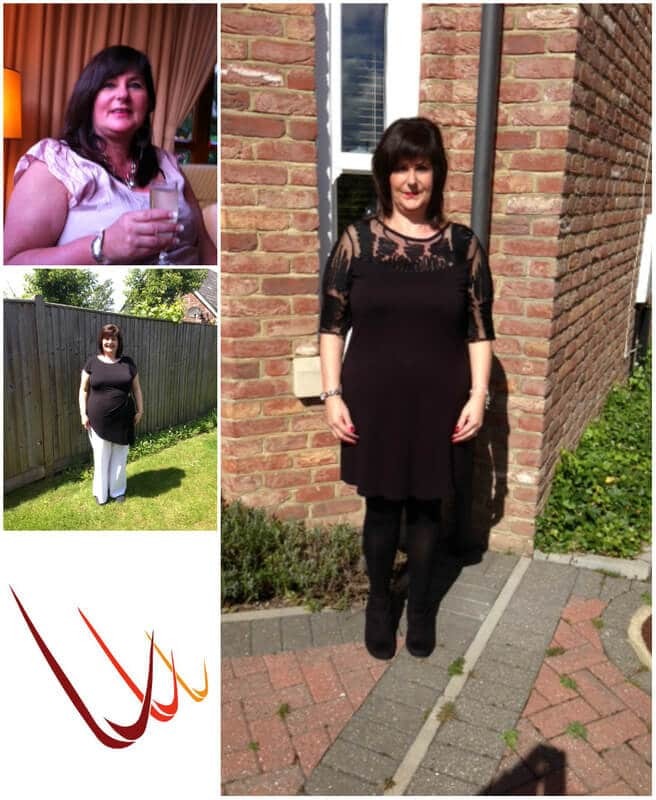 My consultation with Mr Hamouda helped me make the decision that a gastric band was right for me. His interest in my journey of being a “fatty” and his honesty about what my options were, assisted me in making the decision to hand over my care to his team. For me it was about trust and he helped me believe that a gastric band would work for me. I had my operation mid-February and was pleasantly surprised how good I felt. Although I initially felt sick on waking after the anaesthetic, the staff were brilliant in controlling this and all aspects of my aftercare. So here I am 2 ½ months down the line and nearly 2 stone lighter. I am not saying that it has been the easiest of months as I have had to look at how I controlled and hid my emotions by eating. Not being able to eat so much has meant that I have had to look at those old skeletons, but I now have the strength to deal with them and put them to rest. Exercise has been a big part of my lifestyle change, Yoga and Pilates have helped me build strength and become more flexible. Not only am I feeling more positive about myself but have started to develop a waistline, something which I lost 20 years ago when I was pregnant with my first child. For me this journey has taken the unexpected course, it’s been about control; how I control my feelings and what I put in my mouth in order to control them. The gastric band has given me the strength and opportunity to take responsibility for how I handle both. Now I have to get used to being a “thinny”. I’m not buying a whole new wardrobe yet, but have dusted off the sewing machine and get really excited when taking in my clothes. After all, a girl has to get her kicks somewhere!!! I initially thought about weight loss surgery about a year before I contacted the clinic. I have had issues with my weight since my teens and have lost weight on several occasions and put it back on sometimes slowly and sometimes quickly but I have never managed to sustain what I believe to be a healthy weight. I knew that I had to find a way to improve my chances of losing weight and maintaining the loss. I had seen various articles in magazines, newspapers about weight loss surgery but initially was not sure that it was an option for someone like me. I did some further research on the internet looking into potential weight loss surgery options including possible side effects before I approached the clinic for an initial consultation. My concerns prior to the consultation were mainly around the amount of time that I would need to be off work, how I would manage food afterwards, how the surgery would affect life in general – life in many ways revolves around food- meetings, dinners, lunches and coffee breaks and I wanted to be sure that I was not going to have to lead the life of a recluse trying to avoid social events. At the first consultation things were very relaxed, there was no pressure to make a decision. My questions were all answered without unnecessary jargon and it was made clear that there was the option to call or make further appointments before any decisions were made on my part. Once I had made the decision to go ahead with the surgery the pre-operative assessment was very efficient and professional. The staff were all friendly – the decision to go ahead with the surgery was not a simple one and they explained the different parts of the procedure helping to confirm that I had made the correct decision for me. The day of the surgery everything was very calm, the nursing staff were reassuring and explained what was going to happen. I don’t think I fully appreciated how battered and bruised I would feel immediately afterwards – moving around initially was uncomfortable rather than painful and the first week post surgery was a bit of a battle between tiredness and making myself physically get up and move around but after that life returned to a new type of normal. I haven’t told anyone other than my husband, sister and one friend that I have had the surgery, the decision to have surgery was mine to make and I did not want to have everyone else’s comments (positive or negative) and judgements affecting the outcome. My weight loss has been steady rather than dramatic so there have been fewer questions about how I have managed to lose weight but there have been positive comments from friends and colleagues about how well I look and in myself I feel much more comfortable in my own skin. I have more weight to lose but I don’t think I had truly realised how much my weight was limiting what I could do and what I wanted to do. I can paint my toe nails again, I am not worrying about how I’m going to survive sitting in a seat on the flight to my summer holiday and have booked up to take part in activities that I wouldn’t have done before in fear of being too close to or over the weight limit. As for eating – yes I have to be careful about what I eat and when I eat, but I have not had any problems with food which is one of the things you are warned about. My worries about my social life being over haven’t come to pass but pay attention to the advice about alcohol – not only is it calories with no nutritional value, I ended up drunk on 2 glasses of wine and had a hangover for 2 days. No matter what other people may think this is not the easy answer you still have to work hard to get the results, you can cheat, you can eat the wrong food and you can still gain weight but If I went back in time would I still make the same decision – yes.